I see myself as a student of knowledge. I’m always trying to learn more. Born in Jamaica, Calston Llewellyn took his lifelong love of learning with him to UCF, where he studied computer engineering as an undergraduate. “I was the first in my family to go to college so I didn’t really understand what to do. 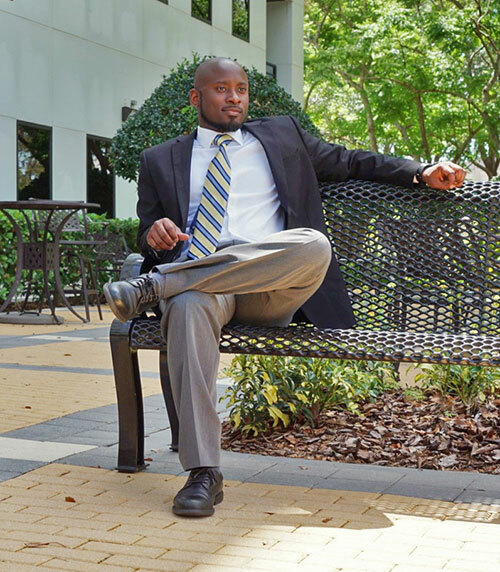 Being a first and not having anyone to give you advice on a personal level was difficult.” Yet despite the challenges that came his way, Llewellyn succeeded and graduated from UCF with a degree in computer engineering. After graduating, he accepted a position at UCF, where he has held a variety of roles including computer support specialist, technician in broadcast and multimedia specialist. As his career advances, Llewellyn continues to seek education and sees each new opportunity as a step towards reaching his goals. He went on to take the Project Management Certificate program through UCF Continuing Education which gave me the opportunity to acquire new skills and help succeed at his new position as division technical project manager for UCF. His Passion for learning is something that has stayed with him from his days as an undergraduate and will continue with him as he continues new endeavors. His tips for a successful career? "Always give back to others, help them to be better, and make yourself available for opportunities."